What can a divorce attorney tell you about having a successful marriage? They can say a lot actually. We see all kinds of marriages, including those on the risk of falling apart, those entirely broken and those hanging on by a thread. Additionally, we draw from our own lives, our own marriages, those marriages of family members and friends, and even professionals. Finally, our own clients have provided their own insight and recommendations as to how to make a marriage last and what went wrong in their own situation. I am by no means a professional marriage counselor nor do I in any way attempt to portray one. However, from all of these sources, I feel the following is good marriage advice. Get married because you want to not because you have to. Choosing someone to marry is in actuality a monumental decision. For some people, they know instantly the first time they meet somebody that they wish to marry that person. Other times this feeling builds up over a course of days, months or even years. Regardless, each person decides that they do not wish to live another day without that person being an integral part of their lives. This is a choice that should be made freely and voluntarily. I have seen many instances where people seemingly got married because they “had to”. For example, they were having a child together, economic reasons or family pressures to name a few. While these situations sometimes work out, other times they do not, as a person may realize over time that they did not freely choose this person and wish to separate from them. In this instance, divorce is often the result. Expect and accept change from your spouse and from yourself. During the course of a marriage, each of spouse will change as individuals. This is going to occur no matter what age you are married, be at in your 20’s, 30’s, 40’s, 50’s, etc. For good, bad or indifferent, we are not the same people we were yesterday. The same is true for your spouse. Sometimes these changes are the result of maturation, sometimes they are the result of life events or sometimes just the normal course of living. Be willing to accept that change from the other spouse and if you have concerns about that change, have the ability to communicate those concerns with the other person. This leads us into the third piece of marriage advice which is communication. Know too that you cannot force someone to change; rather they need to choose to change. Establish lines and means of communication, and maintain them. Communication is one of the benchmarks of a successful marriage. You need to be able to freely communicate your thoughts, feelings, goals, and opinions with the other person. Communication should never be a one-way street. The corollary to communicating is also listening. There is definitely a difference between hearing and listening. Hearing just simply means that you hear what someone is saying. Listening actually means that you are comprehending what is being expressed to you and considering the input. Some couples share the ability to know exactly what the other is thinking, in a way they share a brain. Even in these situations though, it is important to communicate to be sure you are sharing the same thoughts since trouble can easily arise when what was perceived to be a common thought, is anything but a shared thought. By keeping open lines of communication, problems in marriages can often be confronted before they grow beyond repair. It is also important to communicate prior to your marriage about important matters, such as whether or not you will have children, how you want to manage your finances, religious decisions and even where you envision yourself and your life, a year from now, 5 years from now, 10 years from now and even 50 years from now. Maintaining individual identity but at the same too, maintain your identity as a couple. There is a line out there that is something to the effect of, “I am tired of being me and I am ready to become a we.” While it is important that you maintain your identity as a couple, it is equally as important that each of you still have your individuality. By not relying on the person solely, you see yourself as a person who has their own opinions, goals, and purposes in life. Still, it is important to still work on the “we”. This means taking time for each other as a couple. A recent piece of advice I hear is to constantly “date” your spouse. This means having regular time to yourselves as a couple and show the other person how important they are to you by treating them in the way you did while dating and not as a roommate you have been sharing a house with for years. Compromise, Compromise, Compromise. People may often misunderstand compromise as always having to meet in the middle. This is not what is meant. What is meant is simply that that marriage is a give and take. Sometimes you will get everything you are looking for and sometimes you will get nothing of what you are looking for. Other times, of course, you may meet on some middle ground. If you are able to communicate as suggested above, the ability to compromise works and becomes easier. Your spouse is not a metaphorical punching bag. This probably could be phrased differently, or a different analogy could be used, but the point would be the same. We all know when and how to push our spouse’s buttons to get a rise, be it out of fun or spite. If you are continually doing this on purpose in order to start an argument, end an argument or get your way, you are doing nothing but damaging your relationship and your spouse. Each of us knows our own faults and mistakes we have made. By constantly being reminded of our faults, mistakes, and shortcomings, we may devalue ourselves as an individual and thus becoming more reliant on the other spouse or draw back from the marriage. This may create an imbalance in the power of the relationship and affect the ability to communicate and compromise moving forward. Eventually, you may reach the point of the preverbal straw breaking the camel’s back where one can no longer take it anymore and therefore decides to choose to leave the marriage. The grass is not always greener on the other side of the fence. People may feel they got married for the wrong reason and were not able to enjoy their single days. Other people may be going through some sort of a mid-life crisis or transition and envision a life without their spouse. This results in a belief that a new relationship or at least ending the current relationship is just what they need to make themselves happier. This draws back to point #1 where you choose your spouse and #2 where your spouse and you will change. You chose to marry your spouse for a reason and as much as you have changed, your spouse more than likely has also changed. If you think or believe that the grass is going to be greener on the other side of the fence, be sure that is actually the case, as it is not often the case. Finally, before you get overly enamored with the green lawn on the other side of the fence, try to water your own lawn first to see if it improves, comes back to life and becomes lusher. It takes two people to be married. This sounds obvious but is often forgotten. For a wide variety of reasons, people decide to stop working on their marriage. I have often met with people that have been told by their spouse that their spouse wants a divorce but they are not seeking one because they want to work on and save their marriage. Sometimes the filing of a petition for dissolution of the marriage is what triggers someone to want to work on and save their marriage. We address and talk about the typical things such as marriage counseling and ways to possibly help save the marriage, but ultimately, the decision to save the marriage is something both people have to make. If one person is not working on the marriage, ultimately the marriage is going to fall apart as it does take two people to support that marriage. It may fall apart quickly, or it may fall apart over years, even decades, but ultimately, it will fall apart. Marriage is work. Marriage is simply work. Many couples believe that marriage will be like their wedding day and honeymoon. However, after this time, the real work on the marriage begins. Most of us actually have multiple jobs, each of them requiring time and effort during a day. These jobs, not only include the work for which they earn their living, but also their job as a spouse and a job as a parent. It happens that people put a lot of time and effort into their career and parenting but then neglect their marriage. By failing to put the time into the marriage this “career” no longer advances and as a result, a person may actually lose this “career”. No matter how far science advances, there are still only 7 days in a week and 24 hours in a day. Take time each day to put a little into each career and one finds each career becomes more fulfilling and easier. Be giving of yourself to your spouse. A final key to a successful marriage is a willingness to be giving of yourself to your spouse. This can be a large gesture such as forgoing a career opportunity in another state so a spouse can remain close their family, but often it can be done in much smaller ways. Doing a household chore your spouse hates or be willing to care for the children so your spouse can go out for a cup of coffee on their own or out with friends are easy ways to give of yourself to your spouse. It can also mean a willingness to change and be flexible to become the person and partner your spouse needs. As I stated at the onset, I am by no means a professional marriage counselor or therapist. The above are just some basic thoughts as to how to have a successful marriage based on over 10 years of practicing family law, enjoying over 10 years of blissful marriage to my spouse and seeing wonderful examples of married life, especially my parents and wife’s parents, who each have been married for over 40 years. Even if your marriage is breaking down, I do believe it is critically important that people agree to remain civil with each other and still try to implement many of these same ideals. It is never too late to tell your spouse you want to marry them all over again. 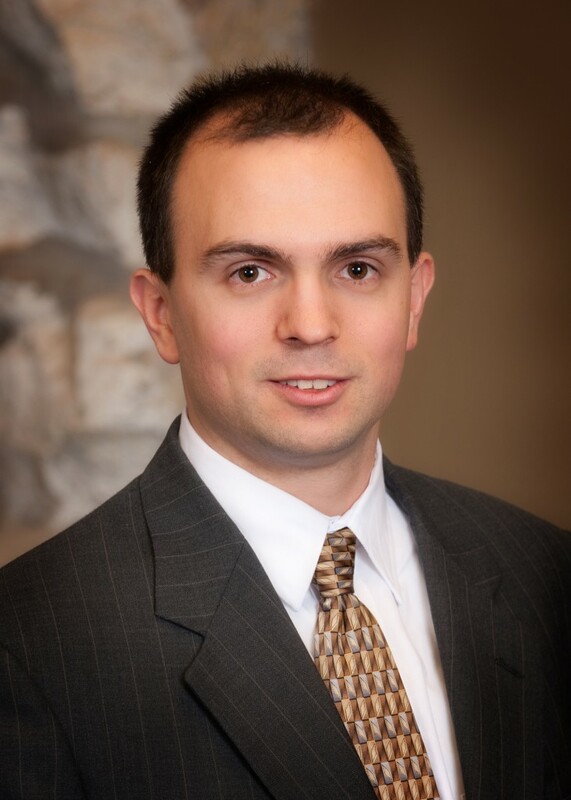 Roman focuses his practice on Family Law and complementary areas.